Welcome you to submit your full paper or abstract by Electronic Submission Systems or by email (icraiconf@outlook.com). Please prepare your submitted paper according to the above template in complete English. And submitted paper should be no less than 5 pages. Welcome to the official website of the 2019 5th International Conference on Robotics and Artificial Intelligence (ICRAI 2019). It is established in Singapore in 2015. It will be held in NTU@ONE-NORTH, Nanyang Technological University, Singapore on November 22-24, 2019 again. The organizing committees for the 5th International Conference on Robotics and Artificial Intelligence (ICRAI 2019) will commit for facilitating the interactions among members in the field of robotics and artificial intelligence. Through this conference, the committees intends to enhance the sharing of individual experiences and expertise in robotic developments involving a range of AI concepts with particular emphasis on technical challenges associated with varied applications such as humanoid, mobile and other classes of robots. Submitted papers will be reviewed by 2-3 peer reviewers. And after review, accepted and registered papers will be published in the conference proceedings, and then submitted for Ei Compendex and Scopus Index. 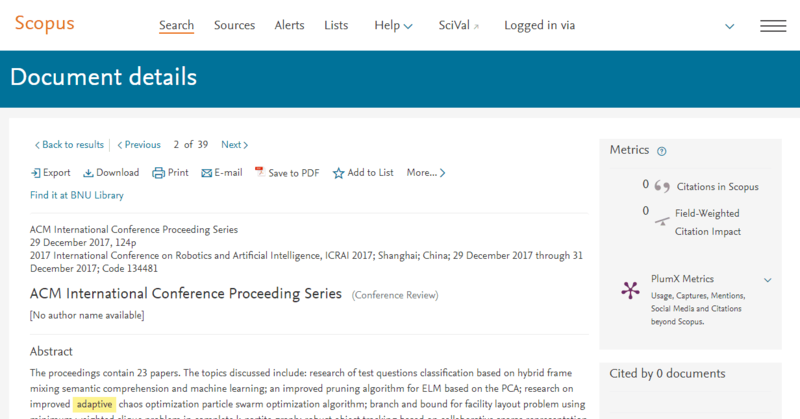 ICRAI 2018 conference proceedings (ISBN: 978-1-4503-6584-0) has been online in ACM Digital Library. 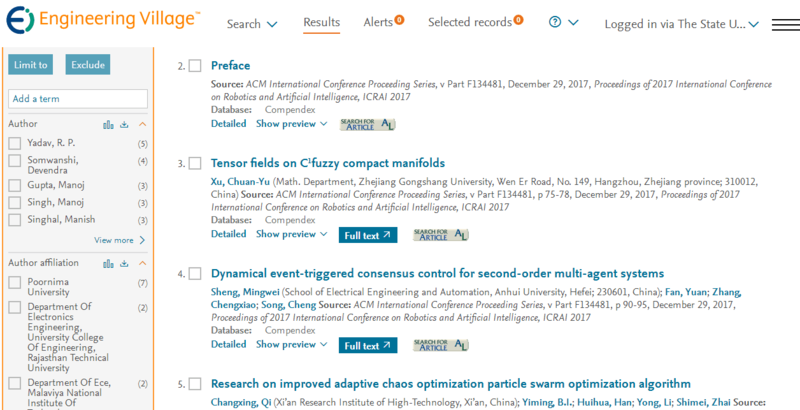 Accepted papers in ICRAI 2018 conference proceedings has been online in ACM Digital Library.